** circle templates are available so you can make pins whatever size you want. 2, Cut out the felt according to the correct colours. 3. Sew on the star to the blue circle (use white thread). 4. Sew on the blue circle to the red circle (use blue thread). 5. Sew the red circle to the white circle (use red thread). 6. 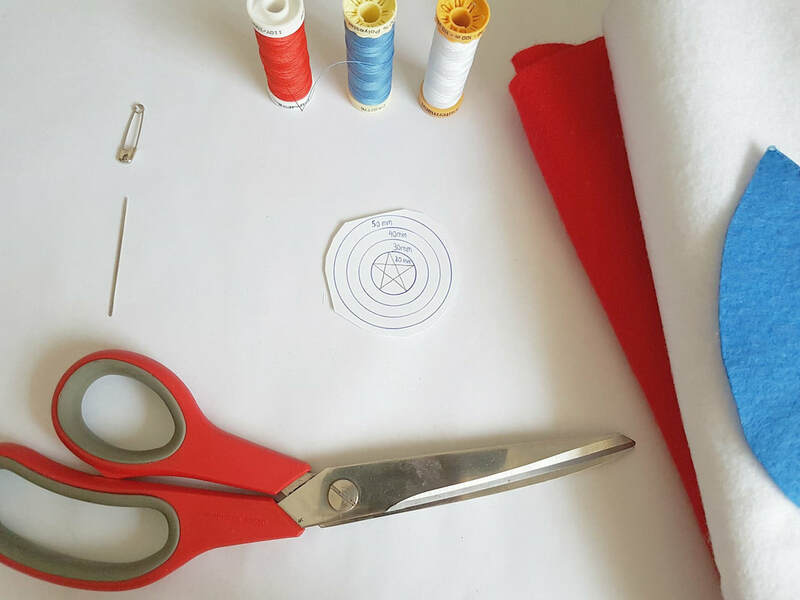 Sew the white circle to the red circle (use white thread). 7. Blanket stitch the two red circles together. 8. Sew on the safety pin onto the back with small stitches. 9. CONGRATULATIONS - your pin is complete! - Blanket stitch if I am sewing two sides together, particularly the edges. - Running stitch (up and down stitch) if I am sewing on eyes, or features such as a mouth. This includes small details or shapes on the front. The badge of the tree is from Disney's UP - a Wilderness Explorer Badge. The badge with the cat is designed by me. This is royalty free music.